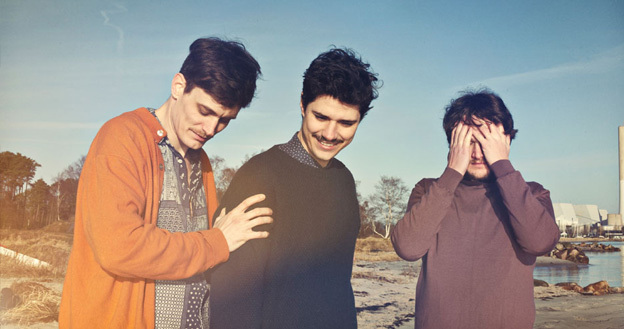 Efterklang from Denmark release the first video from their new album Piramida, which will be released September 24th 2012 on 4AD and Rumraket. The guys from Efterklang (Mads Brauer, Casper Clausen and Rasmus Stolberg) visited Spitzbergen and made their video there which is directed by Oodls (Jakob Steen & Christoffer Frandsen). It contains contributions from Earl Harvin of the Tindersticks (Drums), Nils Frahm (Wurlitzer), Peter Broderick (Strings) and the 60-piece South Denmark’s Girls Choir. Some listeneers in Germany will recognize this following track of Efterklang from a tv commercial.